With Schmitt & Ongaro Marine’s new 9″ Top-Mounted Grab Rail, function and safety have never been so ergonomic and stylish—or so easy to install. Access to the underside of the mounting surface isn’t required. It offers a solid, slip-free grip—essential for safety when boarding or while underway—and will enhance the décor of any boat. 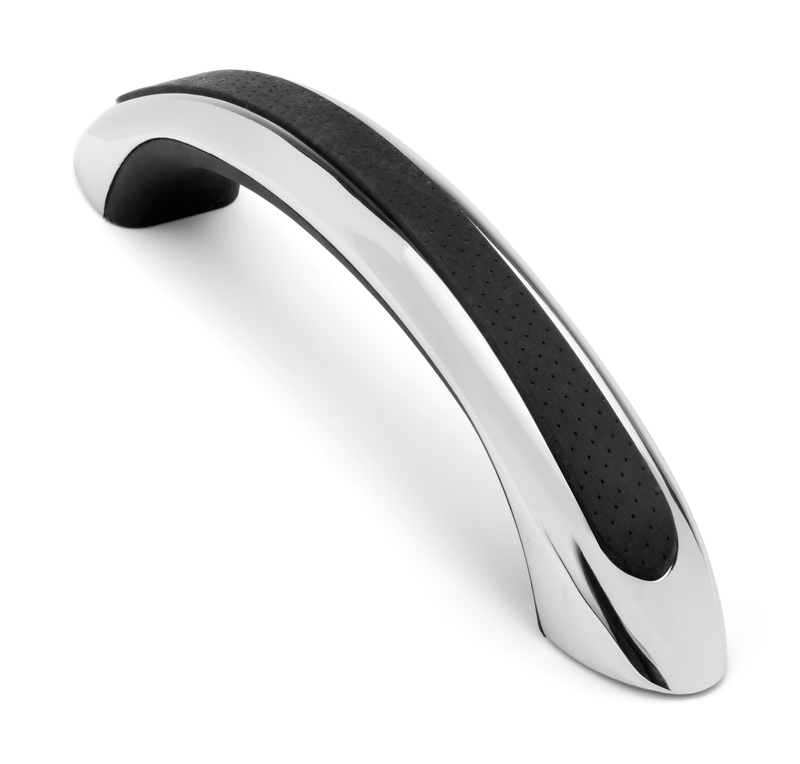 The innovative and durable Top-Mounted Grab Rail is constructed of highly polished cast stainless steel with a black, Santoprene™ engineered rubber insert. Custom color matching is available for OEMs. It utilizes an ingenious flap in the insert, allowing access to the stainless steel cap screws. Once installed, the attachment hardware is completely hidden. Schmitt & Ongaro Marine’s Grab Rails are built to last. They’re backed by a lifetime warranty on the stainless steel and three years on the grip. The MSRP for the Top-Mounted 9″ Stainless Steel Grab Rail is $54.95. Schmitt & Ongaro Marine Products manufactures innovative and exceptional quality marine steering wheels, horns, wiper systems, control arms and knobs, and accessories. The company offers some of the strongest product warranties in the industry and exceptional customer service. This entry was posted in Uncategorized on December 7, 2015 by Lesa Lewallen.